ASA SPECIAL TOPICS SYMPOSIUMS- by member club request. Topics can vary between Parent Education, Striking/Goalkeeping, Developmentally Appropriate Sessions, Specialized Coaching Education, Long Term Athlete Development, etc. 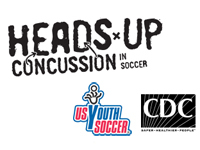 To learn more about concussions take the CDC’s FREE "Heads Up! Online Training for Youth Sports Coaches." This training will help you with a basic understanding of concussions. Simply go online and take the self-guided training. Once you complete the training and quiz, you can print out a UScertificate, making it easy to show your league or school that you have completed this intro course offered by Centers for Disease Control and Prevention’s (CDC) and US Youth Soccer. Coaching at the youth level is more a matter of teaching the game to young players than managing their soccer. Coaching the Principles of Play through small-sided games in both training sessions and on game-day will accelerate the players’ comprehension of constructive soccer. A key goal for coaching young players is to help them understand how soccer works. The Principles of Play form the basic tactical foundation of the game, and players' understanding can be accelerated by competing in small-sided games at training; and by encouraging constructive play during matches. Did you know that there are three simple things you can do to help your players stay healthy and perform their best? Learn how you can encourage players to Drink Right, Move More and Snack Smart in the Coaching Healthy Habits course, developed by US Youth Soccer and Healthy Kids Out of School. In two brief chapters, you’ll learn about basic nutrition and physical activity for young athletes and find practical tips to implement these healthy principles at your trainings and matches. 7V7 IN PERSON COURSE is a four-hour course that builds on the principles covered in U.S. Soccer’s Introduction to Grassroots Coaching Module. Specifically, candidates will learn more about U.S. Soccer’s Grassroots Coaching Education Philosophy, Play-Practice-Play Methodology, the Six Tasks of a Coach, and the characteristics of players aged 9-10. The course will also ask each candidate to reflect on their experiences to develop action steps for personal growth. 9V9 IN-PERSON COURSE is a four-hour course that builds on the principles covered in U.S. Soccer’s Introduction to Grassroots Coaching Module. Specifically, candidates will learn more about U.S. Soccer’s Grassroots Coaching Education Philosophy, Play-Practice-Play Methodology, the Six Tasks of a Coach, and the characteristics of players aged 11-12. The course will also ask each candidate to reflect on their experiences to develop action steps for personal growth. 11V11 IN-PERSON COURSE is a four-hour course that builds on the principles covered in U.S. Soccer’s Introduction to Grassroots Coaching Module. 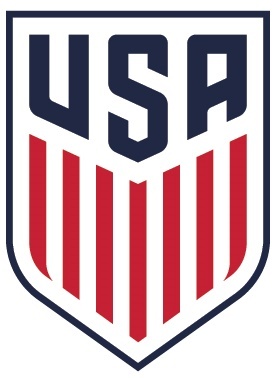 Specifically, candidates will learn more about U.S. Soccer’s Grassroots Coaching Education Philosophy, Play-Practice-Play Methodology, the Six Tasks of a Coach, and the characteristics of players aged 13 and older. The course will also ask each candidate to reflect on their experiences to develop action steps for personal growth. NATIONAL D LICENSE is a 40 to 45-hour course, held over two weekends, at minimum 4 weeks apart, designed for the grassroots coach who meets the prerequisites outlined below. The focus of this course is to facilitate the improvement of the candidates in the Six Tasks of a Coach across all four game models (4v4, 7v7, 9v9, 11v11) with a particular emphasis on Coaching Training Sessions. Candidates that register for this course are expected to attend both meetings.? Please see http://www.alsoccer.org/education/coaching_courses_schedule/ for more info on all courses included registration deadlines. Are you an ASA affiliated club? 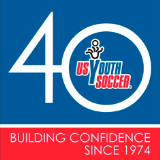 If you have 100% registration with ASA and USYS, you can host the Youth Module to your ASA registered coaches as part of your membership. 10 coaches are required to participate. Contact ASA. Effective June 24, 2016 the ASA Coaching Education Course Refund Policy will be that once a candidate registers for the course, that candidate is scheduled to attend and the hosting association has made proper arrangements for instructors, classroom/field space, materials to accommodate that candidate. For courses registered in GotSoccer, no refunds will be issued, however, the fees may be rolled over to a future course within 1 year of the original registered course date. After one year, that roll-over expires and may not be used. If a candidate registers for a course but attends only a portion of the course and then leaves, there will be no roll-over applied. If a candidate registers and attends the majority of the course, but only misses a small portion of the course, at the discretion of the State Technical Director, the candidate can attend a future course to make up for the missed portion at no additional fee. For courses where registration occurs in the DCC, if a candidate cancels more than 3 days prior to the first day of the course, a $25.00 admin fee will be charged but the remaining fee will be refunded. If a candidate doesn't show up for the course, or fails to cancel at least 3 days prior to the course, there will be no refund. Candidates will receive a full refund for a Coaching Education Course that is cancelled by ASA.